An international performer with a long and distinguished career, Leon Bibb has played an influential role in the development of British Columbia’s arts community. Along with his colleagues, he contributed to the early success of Vancouver’s Musical Arts Club Theatre when he obtained the rights to the musical review Jacques Brel is Alive and Well and Living in Paris. He was part of the successful run of the review at the Arts Club. He was also part of the celebration of the 25th anniversary of that review at the then newly established Stanley Theatre. Mr. Bibb’s cantata, “One More Stop On The Freedom Train”, documenting the journey of black slaves to Canada, was presented in Vancouver at Expo 86, and was developed as a television special. He is an outspoken advocate for minority rights, and in 1992 founded ‘A Step Ahead’, a program that provides a forum for youth to discuss issues of diversity, racism, bullying and multiculturalism. The program has been performed in over 120 schools across Canada and with Mr. Bibb’s support, a foundation has been established to fund it. With multiple screen appearances, recordings and awards to his name. Mr. Bibb has appeared on the Ed Sullivan Show and toured with Bill Cosby. He was the first black performer to host his own talk show on NBC. 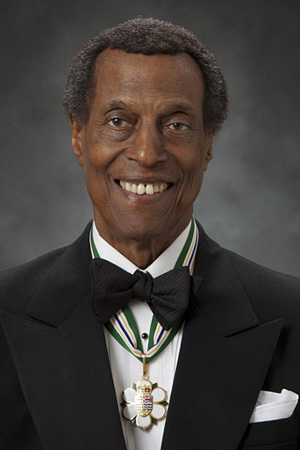 Among his honours and achievements, Mr. Bibb is an inductee to the BC Entertainment Hall of Fame, a recipient of the 2002 City of Vancouver Cultural Harmony Award, the Queen Elizabeth II Golden Jubilee Medal, and the Harry Jerome Lifetime Achievement Award. At the age of 87, Mr. Bibb continues his activities in musical theatre as well as both performer and director of the school program ‘A Step Ahead’.